Due to your attention I present the unique iron meteorite 120x75x48 cm. Its mass is nearby 350 kg. Please, click to previewing for open photo in the new window ! 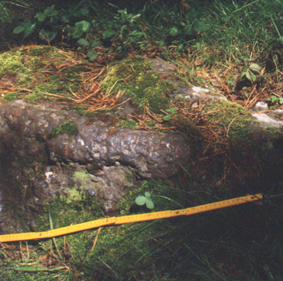 You can imagine the size of the object, knowing that the fragment of the measure line is 15 cm. 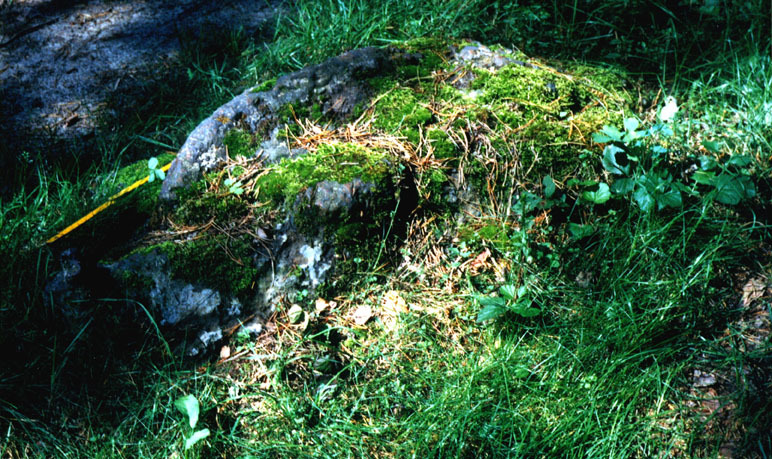 The meteorite has fallen on the Earth about 2000 years ago. Amazing � no rust at all, only moss. The next image shows you the structure of the surface � it�s polished and with little craters. 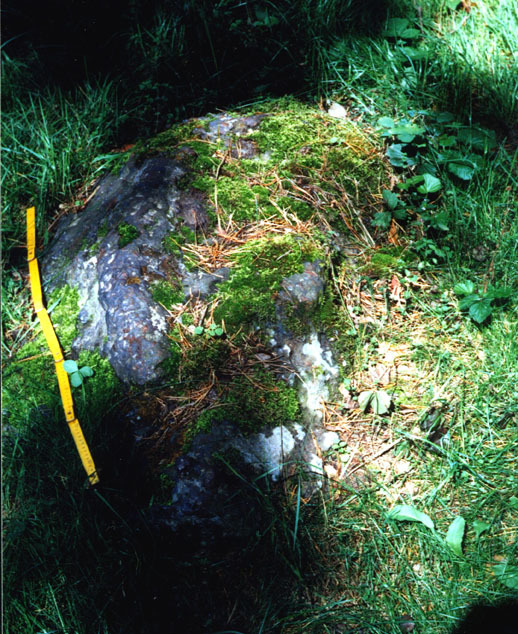 From the next photo you can see that the opposite (down) side is flat but in the middle of it there is a pyramid-looking pit of 51x30x15 cm (depth) size. If You look more attentively to the sand spot under the object, You see a lot of sparkling points just under this pyramid-looking pit. 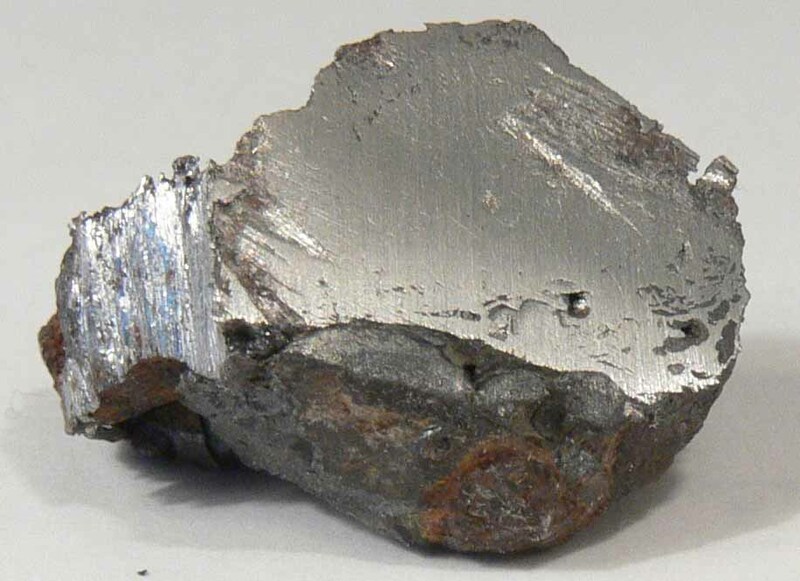 It�s what I�m calling �clinker� � the burned pieces of metal-looking substance. I have collected about 1200 g of this substance. 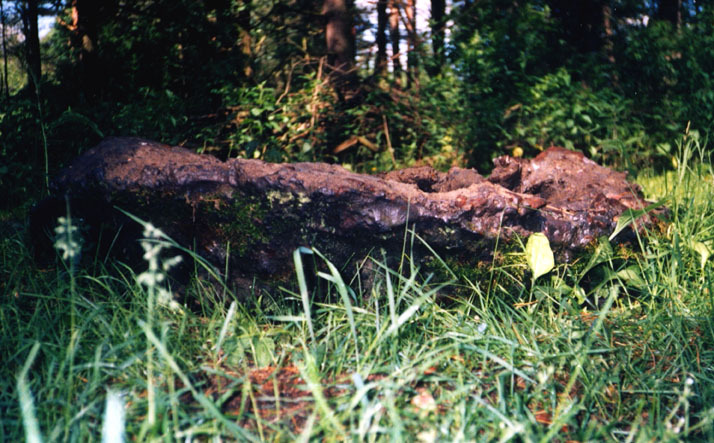 The next image is the side view of the overturned meteorite. The first primitive analysis determined the meteorite structure as a �nugget� (self-born) with the next spectrum:Fe � 99,6%; Ni � 0 (! ); Co � 0,25%; Cr � 0,31%; Mn � 0,17%.The Russian expert supposed it to be an anomalous cosmic �traveler� out of solar system. By the method of nuclear-magnetic resonance a specific �cosmic� isotope C was found. 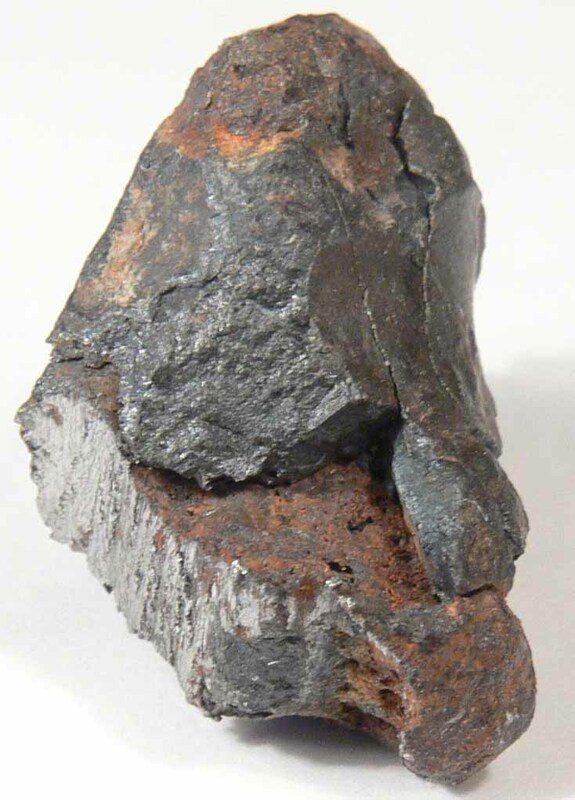 Then the lab�s investigation in Germany was made, proving the meteorite origin of the object.Nowdays I have two specimens of meteorite (5g and 11,5 g). I know that to register and to get �passport� to my find it�s demanded 30-100� or more grams of meteorite. 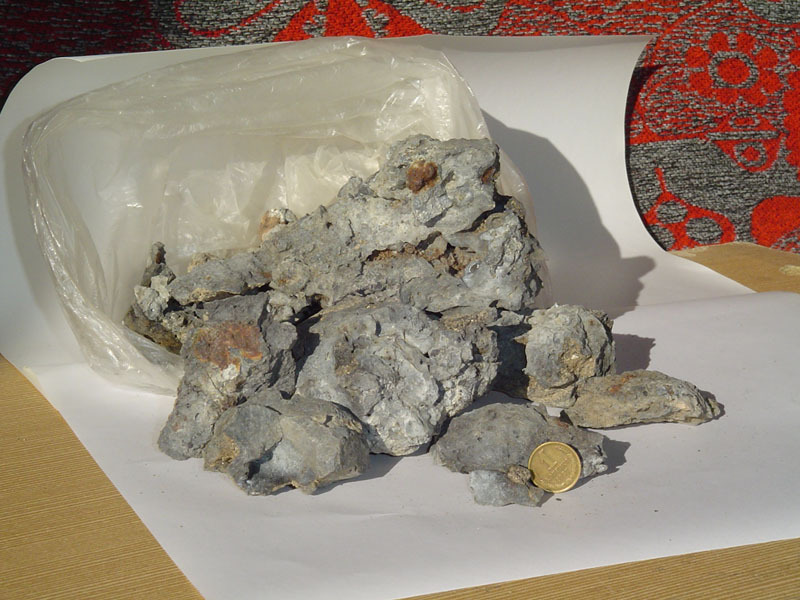 But I�m not a professional hunter � and unfortunately I have an experience of cooperation with the unscrupulously middle agents, where I have lost several meteorite specimens and got no lab�s conclusions, only oral information. That�s why I shall answer only to the concrete proposals from those, who have an experience of working in this sphere: collectors, experts, specialized dealers, meteorite jewelers and others. Please introduce yourself, write what way you are going to work with me, be ready that the questions of lab�s analysis is on your duty (I think it would be even better � no falsified documents) and how you see the transportation questions.All the additional information would be given to the most interesting proposals.From time to time I shall renew this site. P.S. According to the first recalls of the respectable dealers this body can�t be the meteorite of the Ni lack. Yes, for sure, such primitive system of classification is suitable for the common salesmen. But there are things in nature which are called �unique�. The first primitive analysis determined its structure as a �nugget� (self-born). Is there a chance that this body was brought by glacier in ice age from the places where the nugget iron is met? Well� if not for the burned pieces of meteorite just under the main body. Moreover � the sand even melted into the bottom of the meteorite. 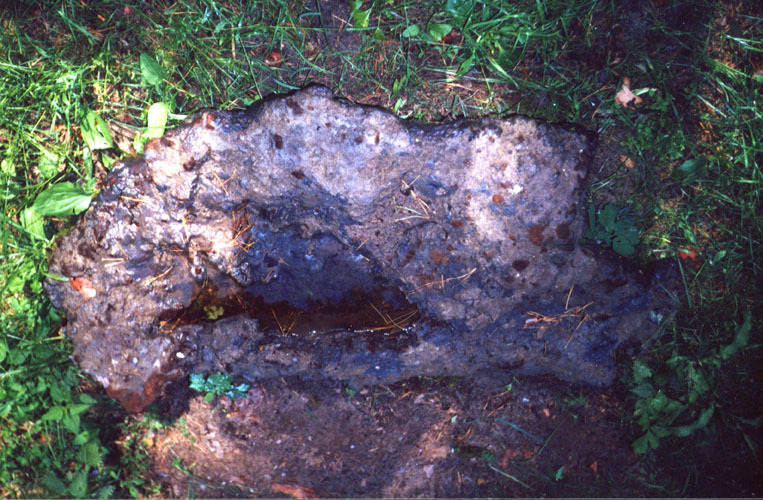 There is no smelting foundry for hundred miles around to propose that somebody �could melt� a 350 kg nugget structure and then threw it in the forest. And thousands miles from the active geological zones. I am an engineer and not a schoolgirl to take my imagination for the reality. Besides I remind you that by the nuclear-magnetic resonance the specific �cosmic� isotope C was found. 22.09.05. P.S.1. These small caverns you can see on the burned fragments are not the consequences of high temperatures. The original body is rather porous by itself. On the bigger specimen at the sawn side there is seen the cavern about 2-3 cubical millimeters. So for a good lab it may be interesting to investigate the �parcel� from the outer space. 21.10.05. 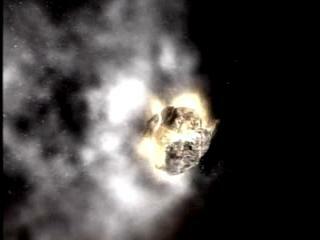 All signs show that it is a splinter of a more massive object which burst going through an atmosphere (27.12.07). The item is not closed yet (02.04.13).